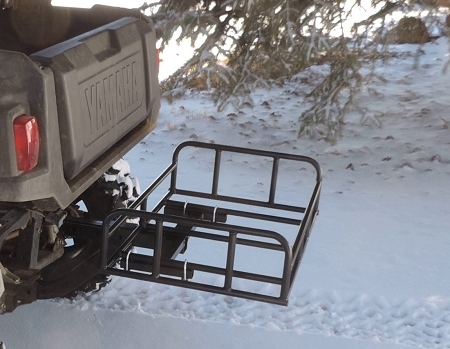 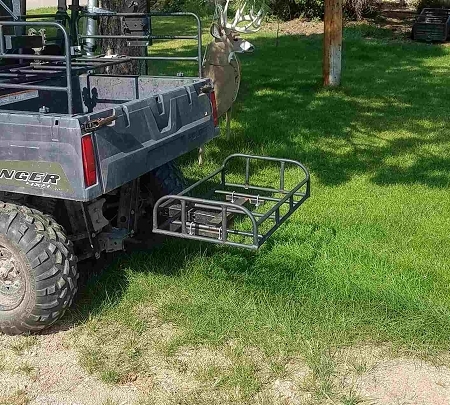 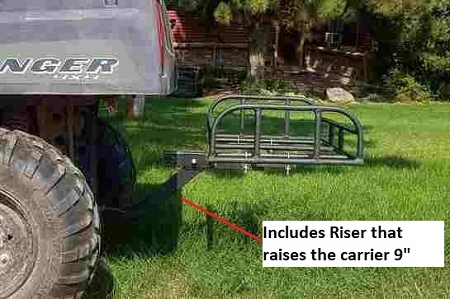 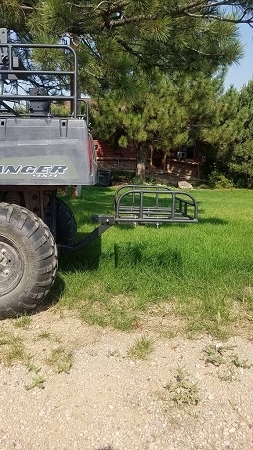 If you've ever tried to take a hitch cargo carrier made for a truck and put it on your ATV or UTV then you know why Hornet built this carrier. 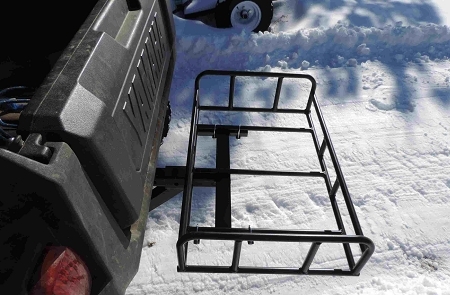 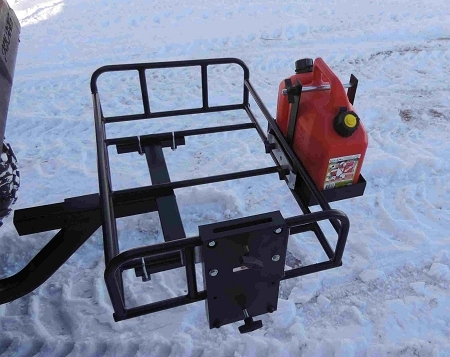 Designed specifically for ATV/UTV use it's strong and wide enough to carrier coolers and cargo but narrow enough to keep your load inside your tires so it doesn't get covered in mud. 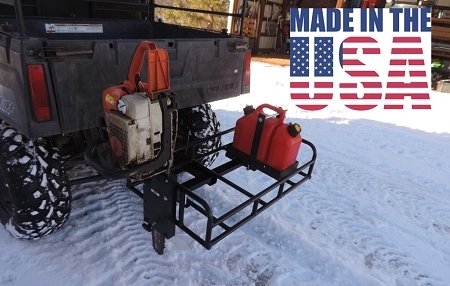 This all steel welded/powder coated cargo carrier Made in America. 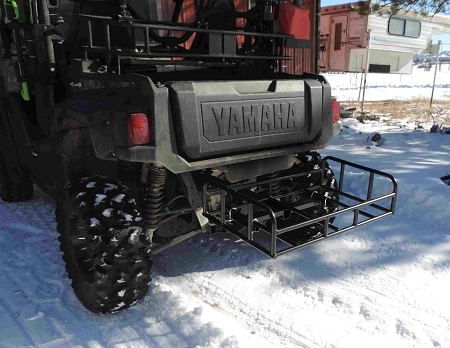 Load this cargo carrier up with gear, or accessories from Hornet. 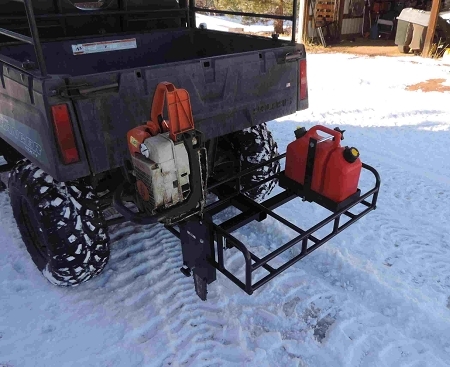 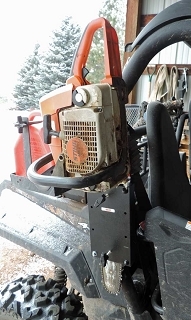 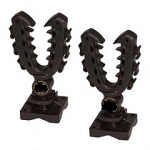 Features Hornet Rack Klamp system for attaching accessories such as R-3015 Spare Fuel, R-3015-Dual Chainsaw Carrier, Dual Gas/Oil Chainsaw Fuel can, U-5000-RZ Jack, R-3018-R Tool Hooks, R-3035 Gun, Tool, Ice Auger, String Trimmer carrier, Axes, Hatches, Gun Mounts, Bow Carriers, Tool Box, Fire Extinguisher and more! 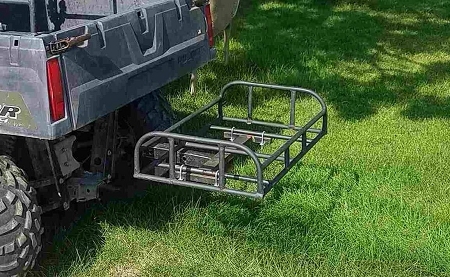 The 2" Receiver Hitch is adjustable in and out (by loosening the U bolts where the Cargo Carrier Mounts to the base) and is a straight male 2" hitch.